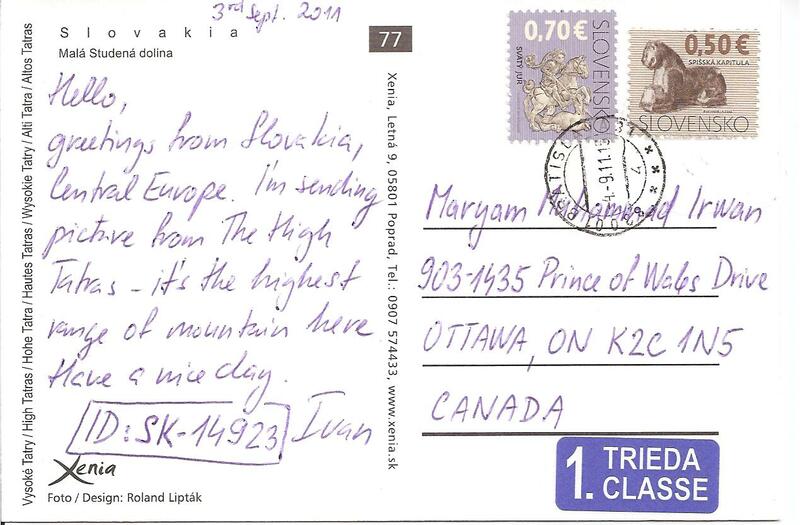 My first postcard from Slovakia! It was received through postcrossing. 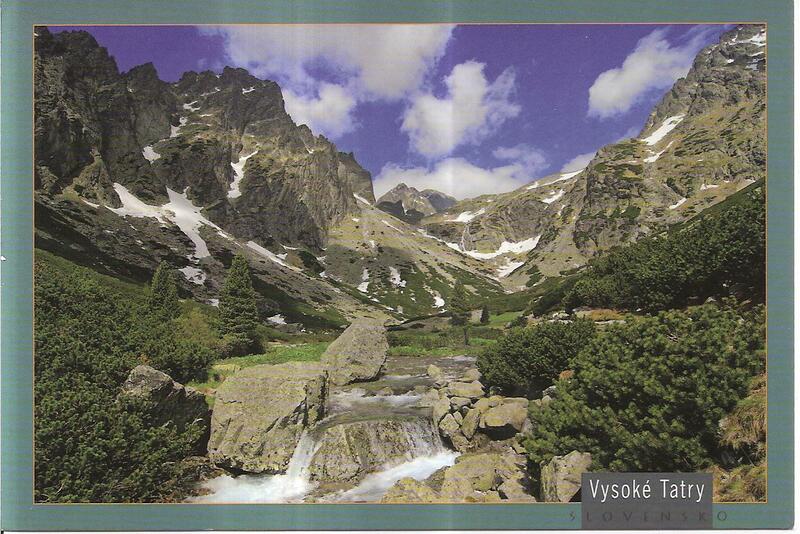 The front of the postcard shows a picture of the High Tatras – the highest mountain range in Slovakia. The postmark date is September 4th, 2011. Thank you Ivan!